As the days grow shorter and the nights longer, most people tend to slow down. Winter is a quieter season for many, except those working in the Pickerington Service Department. Snow removal is the tallest part of the department’s seasonal order. A staff of less than a dozen streets and maintenance employees is responsible for the clearing of all city streets, and they’re basically on standby for call-in 24/7. “If a storm is projected we have guys on site before it even hits, pre-treating the roads. We try and be proactive,” says Service Director Ed Drobina. Last year the City used approximately 950 tons of road salt but was quick to replenish its supply. Drobina says planning is the key. “Our salt barn is full. We try to keep it that way at all times. If we use 100 ton, we order 100 ton,” Drobina says. emoval, with priority given to the main roads, then side streets and then subdivisions. The City says plow drivers make every effort to keep from plowing snow into driveways, but in many instances, it can’t be avoided. Drobina recommends shoveling the snow and ice to the left side of your driveway (as looking at your house from the street) to minimize the amount of snow and ice that gets pushed back into your driveway from the plows. Snow being pushed into the street by residents clearing their driveways is not only dangerous, it’s also illegal. The City also asks that, if possible, residents refrain from parking their vehicles on the streets during periods of heavy, continued snowfall. This will help plow drivers clear the streets and also avoid your car being snowed in. “Our guys take a lot of pride in having Pickerington’s roads clear and we appreciate anything our residents can do to help make their jobs safer and easier,” says Drobina. Five minutes or less. That’s how long the average active shooting lasts. But as seen time and time again, five minutes is long enough for mass casualties and devastation. Active shooter training has increasingly become a priority for schools and businesses across the country and Pickerington is no exception. As one of the many services it offers, the Pickerington Police Department will go to a business or school and provide training on what to do should a gunman enter the building. Commander Tod Cheney says officers can provide anything from a PowerPoint presentation to a full drill with pistol blanks. Cheney estimates the Pickerington PD has done 40-50 of these types of training. The Pickerington Surgery Center is one of several businesses that has taken advantage of the program. “It was a great program. Having the officers take our employees through an actual scenario was extremely beneficial. The officers offered great recommendations,” says Minor. Several officers at the Pickerington Police Department are instructors through entities like OPOTA, FBI, Run-Hide-Fight, Avoid-Deny-Defend, Ohio State Highway Patrol and Texas State University. All officers in the department undergo active shooter training several times a year. In addition to active shooter training, the PPD offers Pickerington businesses an assessment of their security. Commander Cheney believes increased lighting, alarm system installations, surveillance systems and reporting suspicious people are all ways businesses can improve safety for employees and patrons. 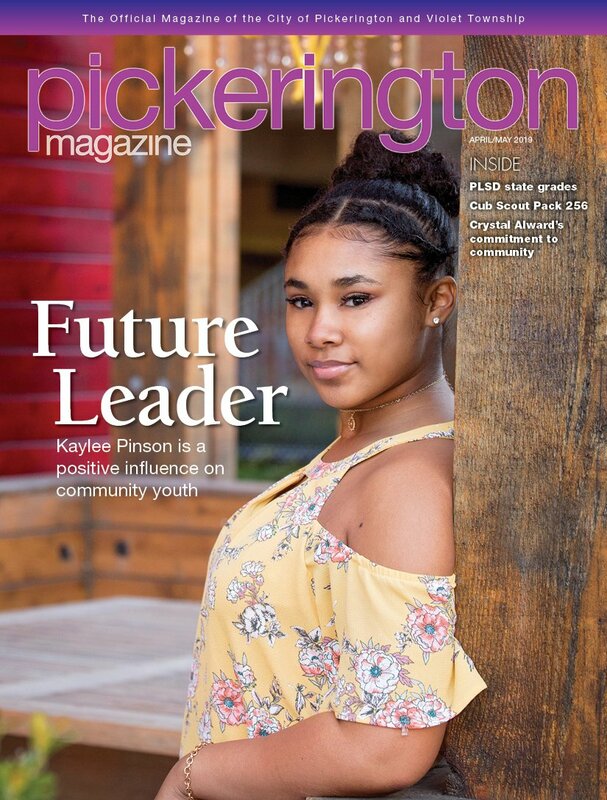 For more information on the security and training services provided by the Pickerington Police Department, please contact Cmdr. Tod Cheney via email at tcheney@pickerington.net or by phone at 614-575-6911. Olde Pickerington Village is decked out and ready for an old-fashioned holiday gathering on Friday, Dec. 7. Residents are invited to celebrate the holidays with some fun-filled adventures in the village from 5-8 p.m. Carriage rides, strolling carolers, free children’s activities, holiday gift ideas and shopping, and even a visit from that jolly old elf from the North Pole will make everyone merry. At 7 p.m., Mayor Lee Gray will officially usher in the holidays with the lighting of the tree at the gazebo. The Holiday Gathering is sponsored by the Pickerington Village Association and the City of Pickerington. “The Pickerington Village Association is the organizer of the event, and the City participates with the tree lighting portion of the gathering,” Pickerington Parks and Recreation Director Rebecca Medinger says. Children can drop off their wish lists to Santa that night. The North Pole Express mailbox is located in front of City Hall. Since it is such a busy time of year for Santa, please include the child’s name and return address so that he can write back. Santa’s special postal service is available through Friday, Dec. 14. Children and adults can help decorate the Dorothy Steiger Memorial Mitten Tree in City Hall and help those in need of warm mittens, gloves, hats, and other warm apparel by placing their donations of items for all ages on the tree. The tree will be decorated through Tuesday, Dec. 18. All donations will be given to families through Fairfield County Job and Family Services.